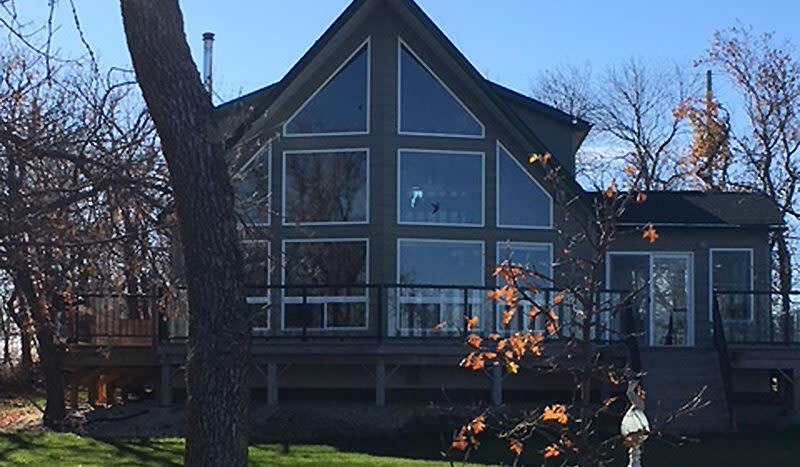 Lakefront cottage with large deck, located on Lake Manitoba. 2 bedrooms + loft… Enjoy a sun-filled sun-room, to unwind & read a book during your relaxing stay. 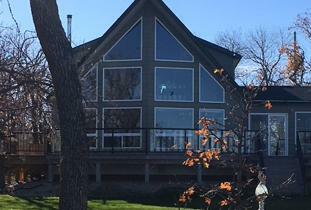 We are located on beautiful Lake Manitoba Narrows just west of the bridge off highway 68. Turn North on Sifton Rd , turn west(left) on Northwinds Rd, drive approximately mile and a half until the stop sign. We are the first cottage on your right Lot 1 Genest Close. For added convenience, Narrows Lodge is located 3 minutes away on the east side of the bridge where there is a convenience store, vendor, restaurant, lounge,ATM and gaming area await. We have a paddleboat, canoe, paddle board & firepit at the cottage for your added pleasure. Pontoon boat rides are also available for an extra charge; take a beautiful sunset cruise. There are two propane BBQ and a fireplace feature on the spacious deck. Boat launch is adjacent to the property for your added enjoyment.